With my son I have recently measured Johnson noise and got its square root (see here) that proved to be in agreement with my theoretical expectations (see here). We built up the main instrument, the low-noise high-gain amplifier but my aim has always been to get a meaningful lab instrumentation that could make easier this kind of measurements. One of the best instruments to do this is the EG&G PARC 113 preamplifier that was conceived for these aims. This is a very low-noise high-gain preamplifier with a set of filters and variable gain. It has two stages and can be used as a differential amplifier ranging from DC to 300 kHz. The manual is here from which you can read the specifications. These are quite impressive and, indeed, this object is still in use in different labs worldwide. For this reason, to acquire this instrument can prove not to be so cheap when one asks for a working unit. But looking on ebay it often happens that some surplus vendor can have this unit to sell without an extended test. 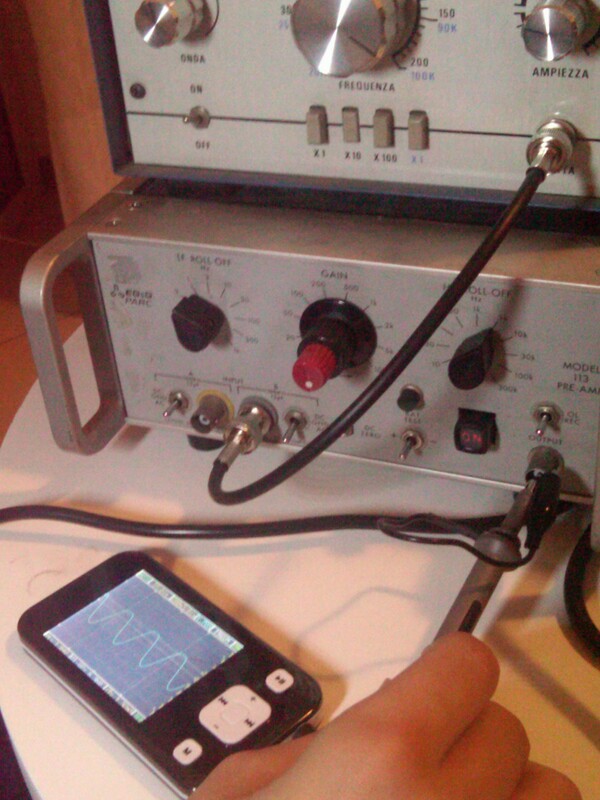 The switch is just a mechanical one and a non-expert person could have hard times to tell if the unit is powered on or not and some dedicated instrumentation may be needed as a scope and a function generator. I was so lucky to find one of these in such a situation and acquired it for very few bucks as the seller sold it for repair or parts being unable to test it. As I received the unit I performed the fundamental test on the manual and, as you can see from the following photos, my instrument is perfectly working. As expected for such an old apparatus, batteries are down and I would appreciate any help on servicing them by replacing. I have tried to get in touch with Signal Recovery , that is now managing these old instruments, to get a service manual or instructions but they have not answered yet. 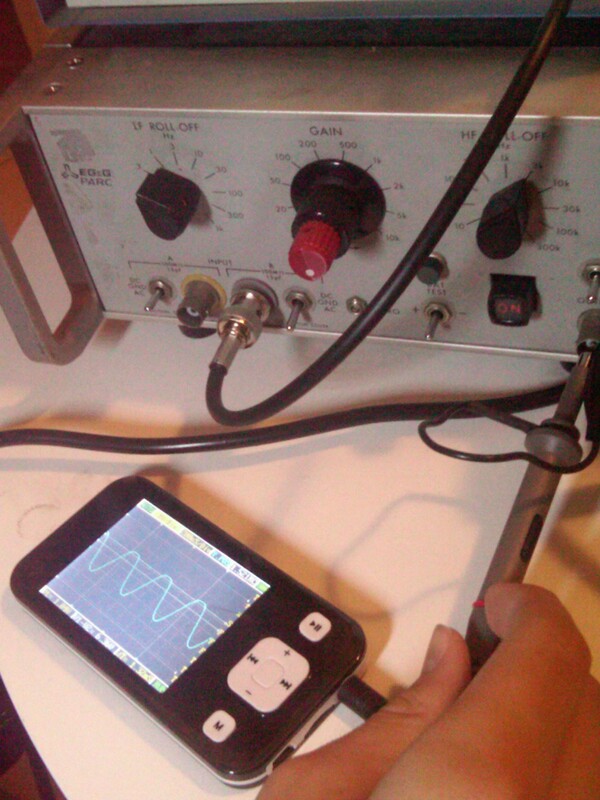 I have also bought a new oscilloscope, HP 54100A, a digital one with a 1 GHz of bandwidth. This was a very good bargain with excellent performances. HP dismissed this unit in 1993 but supported it until 1999. I have not yet received it and I hope to put it to test as soon as possible. 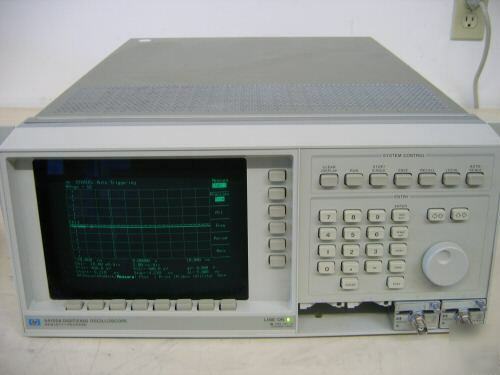 So, it is really interesting to note as today, thanks to surplus sellers, it is possible to build up an important lab with very few bucks in order to realize delicate measurements that, otherwise, would be very expensive. 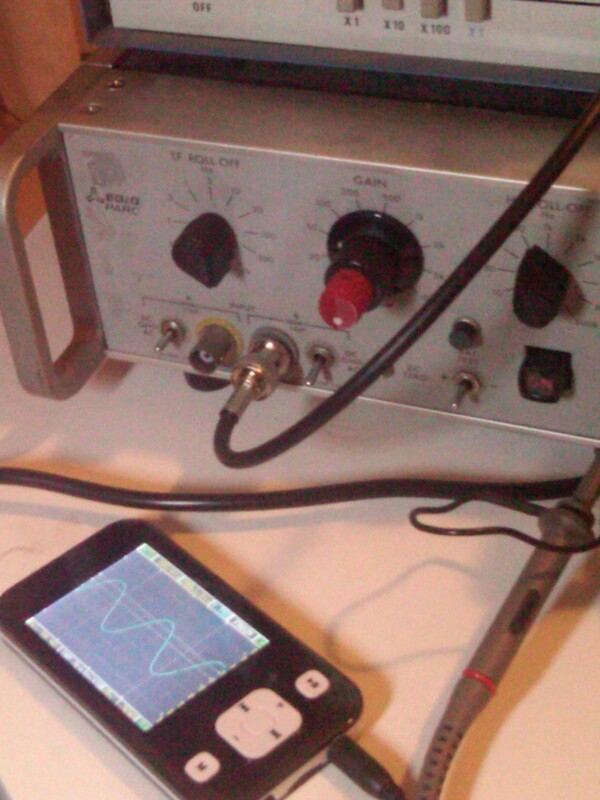 I hope to keep you up to date with our next steps into the realm of noise measurement. You are currently browsing the The Gauge Connection blog archives for April, 2012.